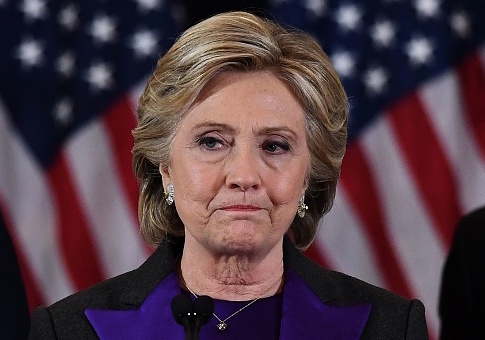 Hillary Clinton has passed over a million dollars from her "resistance" group to other anti-Trump groups, an employee of the organization told the Washington Free Beacon. Clinton announced in April of last year that she intended to be a "part of the resistance" with the launch of Onward Together, a political action group established to supply funding and support to left-wing organizations that can counter President Donald Trump via direct action and protest. "From the Women's March to airports across the country where communities are welcoming immigrants and refugees to town hall meetings in every community, Americans are speaking out like never before," Clinton wrote after the group's formation. "I believe more fiercely than ever that citizen engagement at every level is central to a strong and vibrant democracy." Onward Together states that the support it provides to partner groups can include financial backing, strategic and leadership guidance, recognition, or membership building depending upon the organization. While the group has yet to file a financial disclosure form—it is not required to do so until May—an employee told the Washington Free Beacon that it has given over $1 million to other liberal groups after an inquiry into the donations that are publicly available through the filings of political action committees. Some of the donations can be gleaned from recent filings made to the Federal Election Commission. The PAC associated with Color of Change, a progressive nonprofit that describes itself as the "nation's largest online racial justice organization" cofounded by former Obama green jobs czar and CNN contributor Van Jones, received a $100,000 donation from Onward Together on November 12, 2017, according to its most recent filings. Swing Left, a group dedicated to aiding Democratic politicians in swing districts that launched following Clinton's defeat, claims to have raised nearly $4 million for Democrats, according to its website. Clinton provided $100,000 in funding to the group in May of last year, its filings show. Onward Together's backing extends to a number of other left-wing partner groups, including Emerge America, Indivisible, Run for Something, the Alliance for Youth Action, Arena Summit, Collective PAC, iVote Fund, Latino Victory, and Vote Latino. Clinton sent $800,000 from Hillary for America, her former campaign committee, to Onward Together following its launch last year, the Free Beacon previously reported. Nick Merrill, Clinton's spokesperson, did not return a request for comment on the donations by press time.